Everyone likes to be shown or told that they are loved. 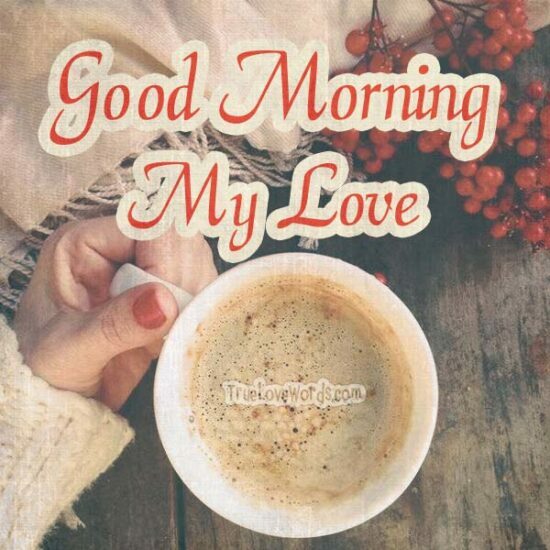 When you are not waking up next to the man you love the most in this world, the next best thing to do is to send him a good morning message to let him know that he was the first thing on your mind. 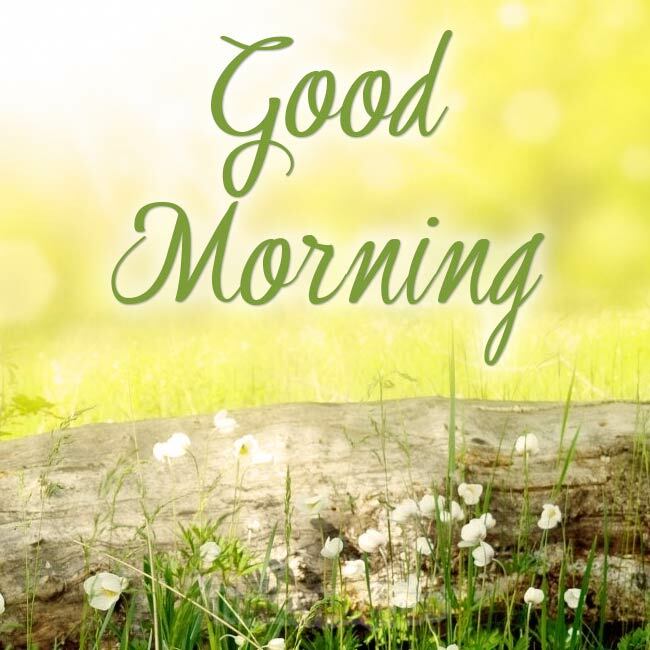 If you are at a loss for words early in the morning, here are some nice examples and ideas of sweet good morning messages for him that you can send and surprise your lover. ⊆ Last night my dreams were filled with thoughts of you. You truly are the man of my dreams. Good morning my love. ⊆ Good morning to the sweetest guy a girl could ask for. You are the light of my life, and you fill my heart with happiness. ⊆ Good morning! I thought that a message from me would perk you up this morning. You may still need some coffee though. ⊆ The sun is shining and my heart is beating for you. The morning is bright, and I am looking forward to seeing your smile. ⊆ This morning I woke up wanting some kisses from you, so I thought I’d send my love to make you smile when you wake. ⊆ There is no one like you in this world. You are my shining star, and I just wanted to wish you a good morning. ⊆ A handsome guy like you is a dream for most girls, but you are my reality and the person I love. Good morning, babe. ⊆ My love, my life, my laughter are all for you. You hold the key to my heart now and forever. Good morning my dear. ⊆ Here are some hugs and kisses to start out your day. Hopefully, they will last until we meet this evening. Have a good day darling. 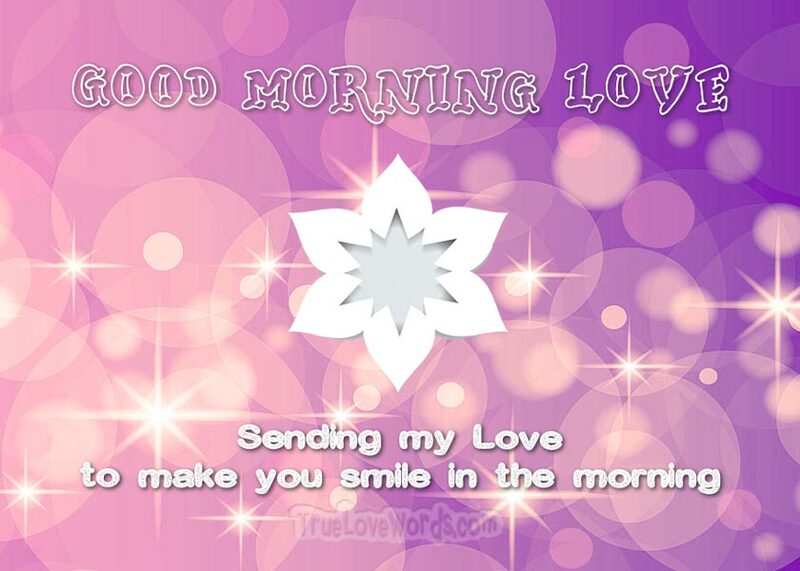 ⊆ You touch my life every day, so I wanted to send you sweet thoughts this morning so that you can think of me. ⊆ Good morning honey. I missed my teddy bear last night, but I am looking forward to being in your arms today. ⊆ Good morning my sweet prince. The air is warm and the sun is shining, Take my love with you today to make it wonderful. ⊆ Without you, I’d be a shell of a person. Having someone as special as you in my life brings a smile to my face every day. ⊆ Rise and shine sweetheart. I am sending loving thoughts your way to take away the nightmares that you may have had last night. ⊆ May your day be filled with happy thoughts. It’s a beautiful morning my love, enjoy it to the fullest knowing that I love you. ⊆ You add light to my life, take away my nightmares, and make me smile. Good morning handsome; I love you deeply. ⊆ Nothing is better than a good morning kiss, so I sent my love to you on the morning breeze to gently kiss your cheek. ⊆ I hope your day is as great as the day that you walked into my life. I love you baby, and I always will. ⊆ I must be the luckiest girl in the world to be able to wake up with you on my mind. Good morning my heart. ⊆ You deserve to be loved every morning and every night, so I am sending you my love in a message to make you smile today. ⊆ You are the pillar that stabilizes my life. I love you dearly, and I hope you have a great day ahead of you. ⊆ Good morning handsome! I hope your day is amazing. I can’t wait to see you tonight smiling as you hold me in your arms. ⊆ I love pancakes and waffles! Loving you means that I never have to choose, we can just share our breakfast. Good morning my love. ⊆ One of the nicest things in the world is waking up to the one you love and seeing them smile as they wake. ⊆ As I sit here watching the sunrise, I can’t stop thinking about you and wishing you were with me to enjoy this beautiful sight. ⊆ Starting the day with you by my side energizes me to do my best. I don’t know what I’d do without you. ⊆ For most, coffee is a way to wake up, but to me, it’s a reminder that I can spend another day with my love. ⊆ Good morning Sunshine. I can’t wait to take on the day knowing that your love is supporting me in whatever I try to achieve. ⊆ Waking up beside you means that I get to see you before anyone else. Even when we are apart, you are always in my thoughts. ⊆ Mornings are hard for me, but knowing that I’ll wake up next to you each and every day makes it easier to wake up early. ⊆ Rise and shine my dear. The sun is shining bright, but here are a few kisses to sweeten your day. Have an amazing day! ⊆ I love waking up next to you, and now that you are my husband, I get to do it forever. I love you, darling. ⊆ I have never enjoyed drinking coffee as much as I do with you. I love and dearly miss our morning coffee when we are apart. ⊆ Since I can’t be with you all day, take a loving message with you to work today. Have a great day my dear. ⊆ I love feeling the sun touch my skin in the morning, so I thought I’d send some warmth and good morning kisses your way. ⊆ I used to cuddle my pillow at night, but now I wake up next to you with a smile every morning. Good morning sunshine! ⊆ I can’t wait until we can wake up together every morning. 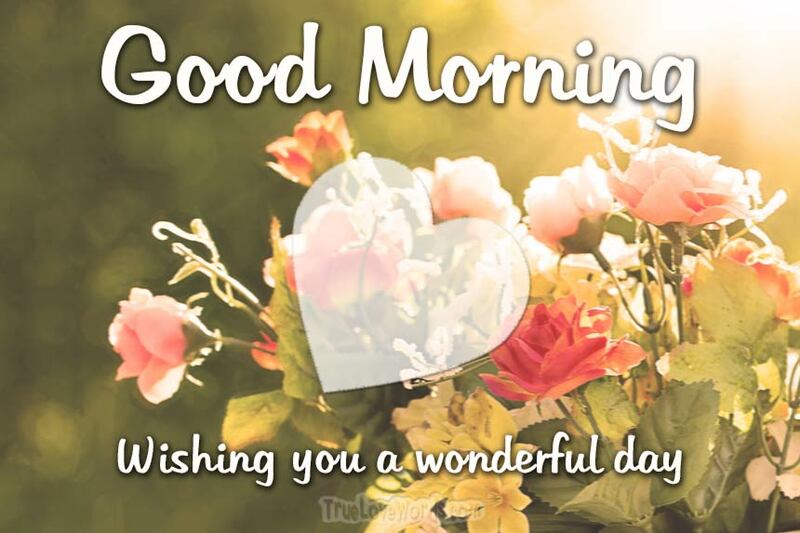 Until then, these good morning messages will help close the distance between our hearts.